Complete Protection. Backed by our comprehensive 10-year warranty. Cover the entire front bumper, hood and fenders. *Standard and Premium coverage includes: Backs of mirrors, door handles and rear wheel impact areas. Will my car’s paint fade or look different when the film is removed? The paint protected by the film fades at the same rate as the paint left unprotected, so there is no difference in appearance. Does the film require special care? No. Special care is not required, simply wash and wax your vehicle as you normally would. Can the film be removed? Yes. The film has a patented adhesive that allows for removal without damaging the paint. Your Porsche’s paintjob is one of the finest in the automobile industry. XPEL paint protection film works as an invisible layer of armor over your car’s finish. Our crystal-clear, energy-absorbent polyurethane film is computer cut from a database of precision templates specific to your car, and then safely bonded to the vulnerable painted surfaces offering up to ten years of guaranteed protection. XPEL is 100% safely removable on factory paint and provides all of the protection you need with none of the peeling, cracking, yellowing, and blistering that can happen with other less-advanced films on the market. Drive your car with confidence. Few brands are 100% committed to protecting your automobile like we are. We focus all of our resources, time, human capital, and research in developing some of the most innovative automobile protection products in the market. We hold the highest quality standards throughout our entire production process, from design to distribution. All of this has made XPEL one of the most recognized names in the automobile protection industry. Paint protection films are clear or colored polyurethane films that are applied to vehicles to protect them from scratches, dents, or swirls caused by road debris, rocks, bug droppings, and other environmental elements. Our entire line of films is hand drawn, measured, and tested manually. Our ULTIMATE line uses special elastomeric polymer technology that allows the film to HEAL ITSELF from scratches or swirl marks in a matter of minutes. We developed our Design Access Program (DAP) Software to provide the most customizable and precise coverage in the industry. This allows our distributors to offer products that fit the needs of their customers while eliminating unnecessary waste. All of our workmanship is backed by our extensive warranties. The Porsche Scheduled Maintenance Plan delivers convenience, control and factory-certified technicians. The plan typically saves 25 % plus inflation and price and increases. Maintain confidence in your Porsche vehicle from the dealership, to your home and beyond with The Porsche Scheduled Maintenance Plan (PSMP). This prepaid service plan allows you to maintain and manage your factory recommended scheduled services. Under the plan, we provide you with the most detailed services your Porsche needs to maintain its luxury, beauty and superior performance. Each plan is customized to cover critical mileage periods of 2 years/20,000 miles, 3 years/30,000 miles, 4 years/40,000 miles or 5 years/50,000 miles. Services are performed according to the Porsche Specifications outlined in the owner’s manual. Beginning with Model Year 2018, the first maintenance will be included with the purchase of the vehicle. Lock in the price of routine maintenance for the term of your plan. No wondering, “Will the cost of a 30,000 mile checkup on my vehicle go up in a year?” No, it won’t. And it will not for the entire term of the plan you selected. All repairs and replacements use Genuine Porsche Parts. 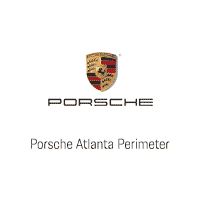 Knowledge that your authorized Porsche dealership uses highly skilled, and factory-trained Porsche technicians. Once purchased, have your routine maintenance performed by any participating Porsche dealership with in the United States. Generally enjoy a cost savings over the life of the plan rather than paying for services as you go. The plan typically saves 25 % plus inflation and price and increases. In establishing scheduled maintenance requirements for the Porsche vehicles, our engineers in Germany determined the checks and service operations necessary to keep your Porsche running in optimal condition. Protect your investment with PSMP. Allstate Complete Premier Protection helps protect your vehicle, from a ding in the door to tire replacement. Inside and out, protect your vehicle from expensive repairs. Tire Replacement: Covers the cost of a new tire when a tire is damaged due to a road hazard. Wheel Replacement: When damage to the wheel prevents the tire from forming an airtight seal. Alloy Wheel Cosmetic Repair: For minor cosmetic damage repairs to alloy wheels with a factory brushed, power-coated or painted surface. Paintless Dent Repair: Covers minor exterior dings and dents less than 4″ long. Key Replacement: Reimbursement for lost, stolen or damaged auto key up to $800. Windshield Repair: Repairs windsheild cracks less than 6″ long and 1 1/2″ in diameter. Trip Interruption: Up to $100 per day/3 day maximum if 100 miles away from residence. Alternate Transportation: If your vehicle is not derivable you may be eligible to be reimbursed for alternate transportation costs of up to $35 per day/3 day maximum. Roadside Services: Emergency roadside services, lock-out assistance, towing. Keep your vehicle looking like it just came off the lot. Prevention and protection for life’s stains, spills and splashes. Scotchgard Paint Protector guards against paint damage from road salt, hard water, tree sap, insects, bird waste, acid rain and more. If damage occurs, areas will be repaired and retreated. Scotchgard Protector products repel stains from pets, gum, crayons, ink, makeup, lotion and more. If damage occurs, areas will be repaired or replaced and surface retreated. Defense against rips, tears, cracks and loose stitching caused by weather or UV weakening of the fabric/leather/vinyl. Rips or tears fewer than 2″or punctures less than 1/4″ will be repaired and surface retreated. It’s called the “gap”. It’s the difference between the Amount Owed on your Retail Installment Sales Contract/Lease Agreement and the Actual Cash Value of your vehicle at the time of a Total Loss. The Amount Owed does not include missed payments, payment extensions, deferred payments, accrued interest, late fees, disposition fees, penalty fees, early termination fees or finance charges incurred after the date of loss. Also, if the insurance company valuation used to calculate the Actual Cash Value is less than 90% of the NADA value of your vehicle, the NADA value will be used in determining the “gap” amount waived (which means a smaller amount may be waived). If your car is determined to be a Total Loss, this “gap” could translate into thousands of dollars that you would still owe after the settlement from the auto insurance company. The Plan excludes total loss claims denied by your automobile insurance company. This is an optional waiver product and not a product of insurance. It is not required for you to obtain financing for the purchase or lease of a vehicle. Term Care Select fills in the coverage area missed in factory maintenance programs and factory warranty coverage. Term Care is an excellent component combined with a Porsche Pre-paid Maintenance program to provide a more economical service experience as well providing the most convenient and time saving experience you can have. Program typically saves between 40-60 % of related cost. Covers the replacement with labor of one (1) set of front and rear brake pads per year during the term. Covers the replacement or repair of one (1) set of front and rear brake rotors in conjunction with a brake pad replacement (excluding carbon/ceramic rotors). Covers one (1) battery replacement per year during the term of the Contract, or the difference between the manufacturer’s pro-rated reimbursement and the total cost of the battery. Covers the unlimited replacement of headlamps during the term of the Service Contract (IMPACT DAMAGE NOT COVERED). Covers the replacement of one (1) set of windshield wiper blades and/or inserts per year during the term of the Service Contract. Covers the replacement of the engine belts and hoses during the term of the Service Contract including: vacuum pump belt, serpentine belt, power steering belt, alternator belt, supercharger belt, air pump belt, air conditioner belt, water pump belt, heater hose, bypass hose, throttle body hose, upper and lower radiator hoses, air conditioning hose, power steering pressure and return hose, air hose, washer hoses, vacuum hoses, and fuel hoses. Unlimited coverage of fuses, interior and exterior light bulbs during the term of the Service Contract including: turn signal bulbs, compartment lights, running lights, fog lights, stop lights, backup lights, license plate lights, parking lights, trunk light, dome light, courtesy light, visor light, map light and glove box light (IMPACT DAMAGE NOT COVERED). Covers one (1) wheel alignment during the term of the Service Contract. Ceramic Pro 9H is our flagship product in the automotive industry. 9H offers a permanent nano ceramic protective protection against minor scratches, graffiti, dirt, aging, premature oxidation, weathering, road salt, rock chips, bugs, bird droppings and even acid rain. It offers excellent scratch, thermal (1382 degrees), UV, oxidation, corrosion and chemical resistance. A surface that has been sealed with Ceramic Pro 9H stays clean for a longer period of time due to its smoothness and hydrophobic qualities. Ceramic Pro 9H is permanent and can only be removed using machine polish. The unique formulation of 9H has enabled it to be multi-layered which means the thickness of the coating can be increased with additional layers allowing a thicker/harder film that will increase its scratch resistance. Wheel & Caliper cleaning your rims will never be the same! The surface on the wheel or rim gets so smooth that brake dust and other containments won’t bond. Eventually dirt will stick but will come off extremely easy with use of just water and a towel.